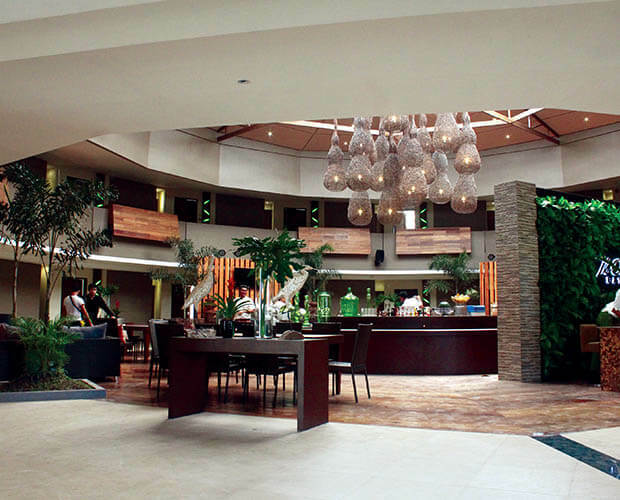 The Oriental Bataan promises its customers that by booking directly, you are getting the best deal online. If you have a confirmed direct online booking with The Oriental Bataan and find a cheaper price for the same offer within 24 hours on another website, we will match that price. The Oriental Bataan will make available the best guest room \ price for the hotel (the "Best Price Guarantee"). " The Oriental Bataan Website" are the websites owned or operated by or on behalf of The Oriental Bataan bearing the logo and branding of The Oriental Bataan. In the unlikely event that a lower price at The Oriental Bataan is made available on a non-The Oriental Bataan website (the "Competing Price"), upon its receipt of a claim that satisfies these Best Price Guarantee terms and conditions (the "BPG Terms"), The Oriental Bataan will honor that Competing Price and provide the individual that submitted the valid claim one of the following: (1) an additional 10% discount off the Competing Price per room per night; or (2) a voucher that the guest can use during their stay, the amount of the voucher will be equal to the difference between the original reservation rate and the competing price. The claim must be submitted prior to, or within 24 hours after, making a reservation through a The Oriental Bataan Website, and at least 24 hours before the standard check-in time at The Oriental Bataan. A claim may be rejected by The Oriental Bataan if it is incomplete or concerns a non-The Oriental Bataan website. For the Competing Price to be valid, it must be a currently available lower published online room price for The Oriental Bataan, the same stay dates, the same number of guests, the same room type, with a similar view and room size, and include similar or additional value-added amenities (e.g., free breakfast). The Oriental Bataan will compare the total room cost of a stay, and multiple claims for a stay consisting of two or more nights in the same week at the same The Oriental Bataan. The Oriental Bataan will convert any Competing Price offered in a different currency than the price made available through the The Oriental Bataan Website, and may deny claims where it determines that the difference between the price is due to exchange rate fluctuations. The estimated value of value-added amenities (e.g.,free breakfast, use of Wifi, vouchers) offered as part of a Competing Price will be excluded from the price comparison, and will not be provided by The Oriental Bataan when honoring a lower price. The Oriental Bataan may deny claims where the difference between the Competing Price and the price on the The Oriental Bataan Website is less than one percent. The Best Price Guarantee does not apply to existing reservations that are not booked through a The Oriental Bataan Website, and The Oriental Bataan is not responsible for any fees associated with cancelling a reservation made through a different channel (e.g., a call center, a non-The Oriental Bataan website). If a valid Best Price Guarantee claim is submitted without an existing reservation, the individual making the valid claim will be contacted by The Oriental Bataan and must make a reservation in the manner communicated by The Oriental Bataan within 24 hours from receipt of the communication or local check-in time at The Oriental Bataan Hotel. Failure to make a reservation in the required time period will invalidate the claim. The Best Price Guarantee will be suspended during times where the The Oriental Bataan Websites or certain prices are not available due to an outage, a technical issue or a circumstance beyond The Oriental Bataan\'s reasonable control. The Oriental Bataan has the sole right and discretion to determine the validity of any claim and will not review documentation provided by the individual submitting a claim as part of its validation process. The Oriental Bataan reserves the right to deny a claim, if it cannot independently verify the availability of a Competing Price at the time it processes the claim. The Oriental Bataan may at any time and without notice terminate or restrict a person\'s ability to submit a claim under or otherwise benefit from the Best Price Guarantee, if in its sole discretion The Oriental Bataan determines that such person has: (1) acted in a manner inconsistent with applicable laws or ordinances; (2) acted in a fraudulent or abusive manner, (3) submitted multiple invalid Best Price Guarantee claims; (4) failed to stay at The Oriental Bataan Hotels after receiving approved Best Price Guarantee Claims; or (5) breached any of these BPG Terms. Any disputes arising out of or related to the Best Price Guarantee or these BPG Terms shall be handled individually without any class action, and shall be governed by, construed and enforced in accordance with the laws of The Oriental Bataan. Void where prohibited by law. The Oriental Bataan reserves the right to amend, revise, supplement, suspend or discontinue the Best Price Guarantee or these BPG Terms at anytime in its sole discretion and without prior notice. For a more memorable and fun stay with loved ones, have access to our facilities that are a few steps away from your accommodation at The Oriental Hotel Mariveles, Bataan. 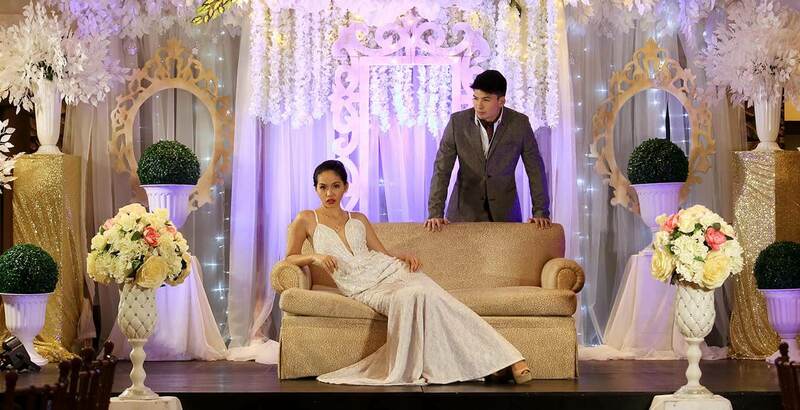 Consider The Oriental Bataan for your next special occasion. 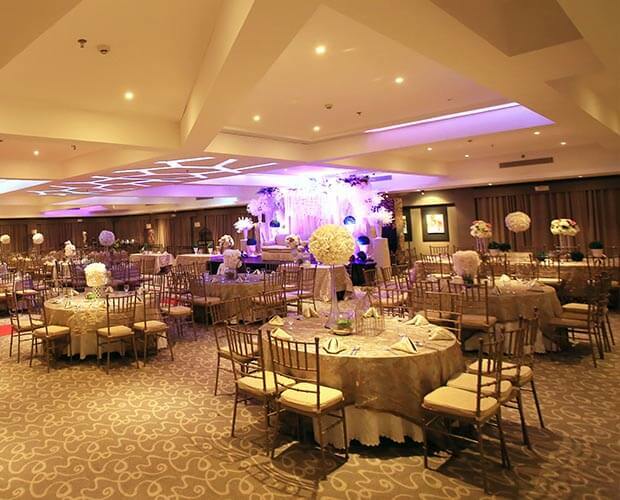 For celebrations or meetings, our function rooms and convention center offer the ideal setting and top-notch service for your events. Contact us through the form below. 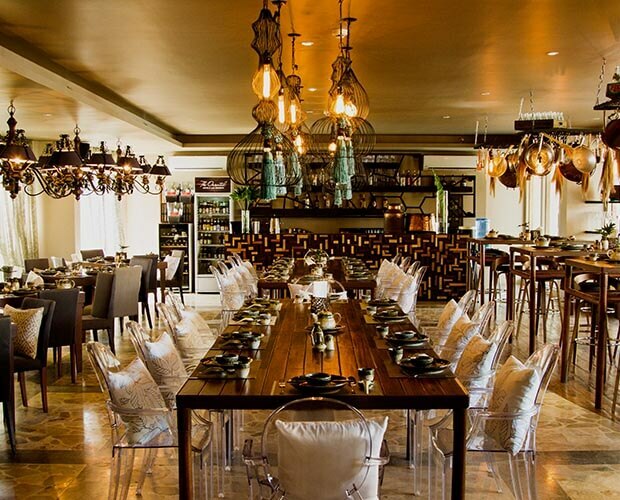 At Cocoon Restaurant, you will be treated to a delectable dining experience. Carefully prepared to keep their authentic flavors, the cuisines at Cocoon Restaurant make for a truly satisfying meal. During your stay, we recommend trying our Tom Yum, Hot Prawn Salad, or Dragon Balls. Your seafoods and prime cuts are finely prepared at The Forest Grill. 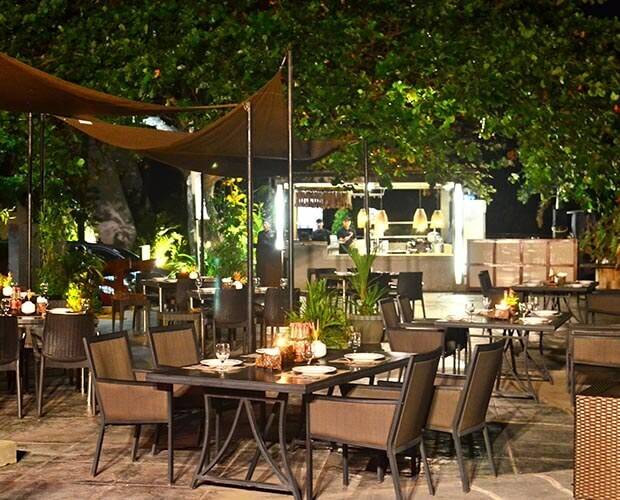 Enjoy the cool breeze with an al fresco dining experience and be entertained with live performances every Tuesday to Saturday night. 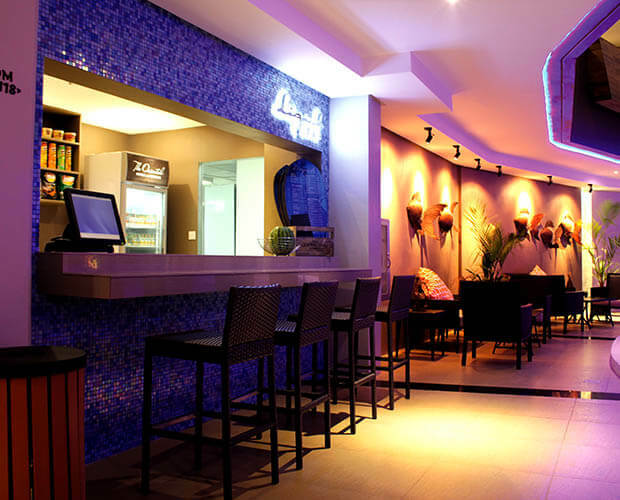 Located at the poolside, the Liquid Bar is ideal for snacks and refreshments after a fun time at the swimming pool. Choose from a variety of finger foods and juices available all day. Start your day with a hearty breakfast at the Lobby Lounge. Choose from a variety of local and international breakfast favorites perfect to get you ready for the day. Buffet breakfast is served daily from 6:00am-10:00am. 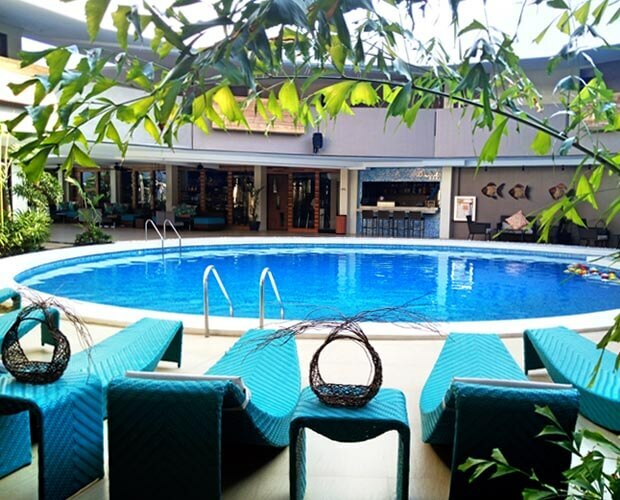 One of the most stunning and most photographed spots in the hotel, the indoor pool at The Oriental Hotel, Mariveles, Bataan is unlike anything you’ve seen before. Though indoors, the pool is situated right below an opening that allows you to still enjoy the warmth of the morning sun or the cool of the afternoon breeze. Clear your mind and ease your body while nature’s sounds soothe you. 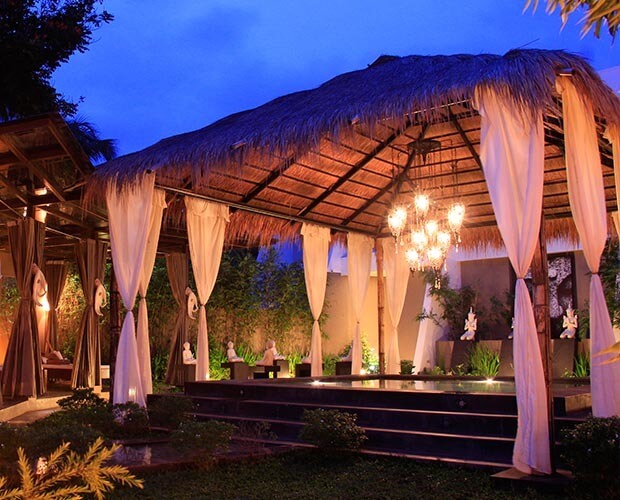 The Oriental Bataan’s outdoor spa has the perfect ambience for your choice of spa treatments carried out by our skilled masseuses who are sure to address your preferences with utmost professionalism. We highly recommend trying our special The Oriental Massage. 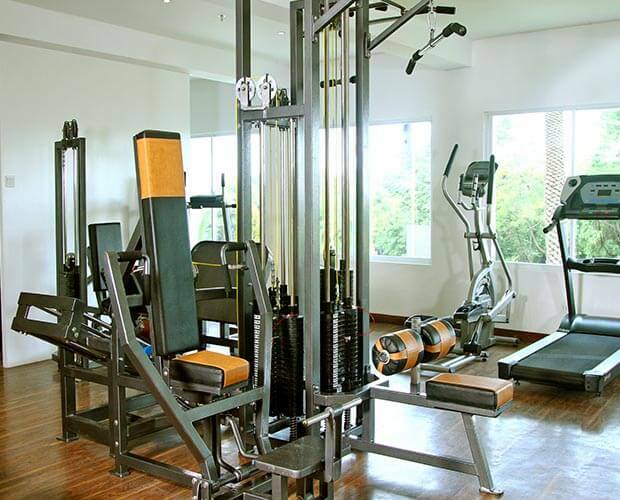 The Oriental Bataan offers a space wide enough for you to jog in at any time of the day but for those who prefer to have professional equipment, you may opt to lose those pounds in the Fitness Center located at the basement. Towels and water are readily available for your comfort and convenience. When you just want to lounge around and enjoy the night sky or the cool afternoon, The Cliff Lounge is the perfect spot for you. 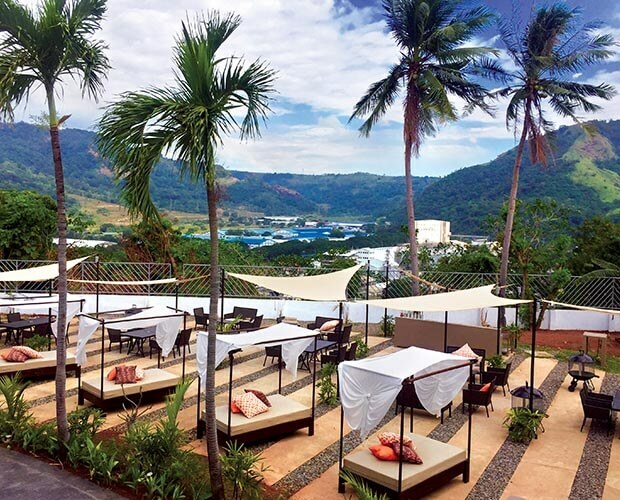 Complete with cushions and pillows, The Cliff Lounge is a special area at The Oriental Bataan where you can enjoy quiet time alone or chitchat with friends and loved ones. Have your own mini adventure with the people who make success sweeter. 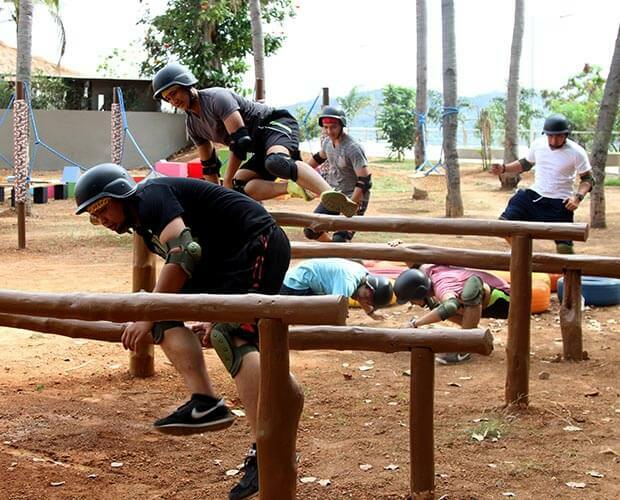 The Oriental Bataan proudly provides team building facilities composed of 18 obstacle courses for challenging yet fun personal and organizational growth. The next time you have your team power-ups, choose The Oriental Adventure Camp at The Oriental Bataan.